SAN LEANDRO, Calif. -- San Leandro police are asking for help locating a man who has been missing since Friday. 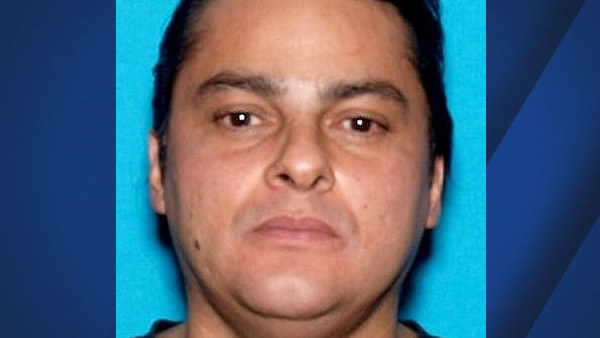 Mark Yniquez, 47, was last seen at the San Leandro Marina. Yniquez is described as a Hispanic man with long black hair tied back in a ponytail. He's 5 feet 6 inches tall, has brown eyes and weighs about 200 pounds, according to police. Yniquez was last seen wearing a blue T-shirt and black pants. Yniquez has been diagnosed with schizophrenia and he's been without medication since Friday. He may need medical attention, police said. Family members reported him missing. Anyone with information about Yniquez's location is asked to call the San Leandro Police Department at (510) 577-2740.